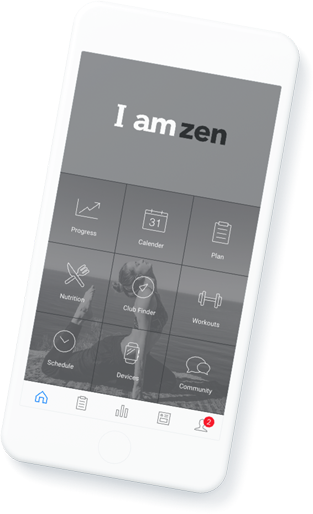 Zen your way to business success with Virtuagym's yoga studio software. Streamline your workflow, minimize repetitive tasks, and spend more time with your students. Our yoga studio software gives your students freedom to view your class schedule, book classes and pay before they even step foot in your studio. Build a Yoga community with your own mobile app, connect students, create an online community, stay up-to-date and drive long-term success. An engaged student is a loyal student. Increase touch points with your students and drive engagement with your own Mobile Yoga App. Easily personalize your messaging by targeting individual students or specific groups. Increase class bookings and attendance with flexible booking and communication tools. Transform your passion into a sustainable business with our Yoga Studio Software. Sell more memberships with a seamless online sign-up and billing platform. Whether you’re charging for a single class, a 15 class package, or selling merchandise, our Yoga Software with Point of Sale module makes processing payments easy. Automatically update teachers’ schedules when a student books a class. Virtuagym’s studio scheduling software allows your students to independently book classes, whether online or via your scheduling app. Ein engagierter Teilnehmer ist ein treuer Teilnehmer. Eine eigene Yoga-App erhöht die Kontaktpunkte und somit die Kundenbindung. Personalisieren Sie Nachrichten, indem Sie Gruppen oder einzelne Kunden ansprechen. Steigern Sie Ihre Kursbuchungen und Besuche mit Hilfe flexibler Buchungs- und Kommunikationswerkzeuge. Verwandeln Sie Ihre Leidenschaft in ein zukunftfähiges Unternehmen mit unserer Yoga Studio Software. Bieten Sie Ihren Mitgliedern eine flexible Online-Kommunikation an. Kommunizieren Sie neue Kursangebote, Motivationstipps, Sonderangebote und mehr über die Kommunikationsfunktionen von Virtuagym, wie zum Beispiel private Nachrichten, Gruppennachrichten, Werbebanner und vieles mehr. Machen Sie mehr Umsatz mit einer übersichtlichen Anmelde- und Abrechnungsplattform. Egal ob ein einmaliger Kurs, ein 15-Stunden Paket oder Merchandise gekauft wird, unsere Yoga Software vereinfacht die Abrechnungen. Stundenpläne von Ausbildern werden automatisch aktualisiert, wenn sich Kursteilnehmer einbuchen. Virtuagyms Studio-Terminplan ermöglicht es den Teilnehmern sich selbst einzutragen, online oder über die Terminplanungs-App. Alle Ihre Mitgliederinformationen werden zentral bei Virtuagym verwaltet. Informationen und Unterlagen werden sicher in der Cloud gespeichert, während die Integration mit unserem Rechnungsmodul, der Virtuagym Mitgliedschaftsverwaltungssoftware, die automatische Verlängerung von Verträgen zum Kinderspiel macht. How can we help to build your online community? Engagement is key for member retention. With the Virtuagym software, you have the opportunity to connect with your members. As a club owner, you have your own social environment where you can keep your yoga students up-to-date. You can send personal messages, group messages, or targeted messages. Can the yoga studio software grow your business? The more tasks you automate, the more time you will save to spend on doing what you love most. Paper and CSV files are a thing of the past. The future of the health and wellness industry is mobile. You as a yoga studio owner don’t want to stay behind. With the right yoga booking software, you can solve issues around booking and payments wherever you are. The right yoga software gives you the possibility to scale up easily and keep track of all your administration work. What can our studio software do for your business? You set up your yoga business for only one reason, you love to teach yoga. But every yoga studio needs to set up efficient processes in order to conduct essential tasks such as scheduling clients, taking attendance, payments and regular communication. When you’re just getting started you want to keep in mind that you can grow in the future and you don’t want to lose your overview. With the yoga software from Virtuagym, you can keep a good balance between your passion and administration. Manage membership, member payments, access control and sales in a scalable cloud-based solution. Simplify your entire billing process and automate your booking process and minimize no-shows. What are the things to consider before you buy a yoga studio software? Before you book a demo you should consider which time-consuming tasks you want to eliminate. Virtuagym’s yoga booking software has a great list of features to save time on admin that you can then invest elsewhere in your business. Why do you need yoga studio software? With the yoga studio software you can manage all aspects of your business. Save time, connect with your students, work efficient and focus on growing your studio’s revenue. The app makes sure that your students can pay, connect and book with easy anytime, everywhere.